Belize is definitely an underrated country for what it has to offer. 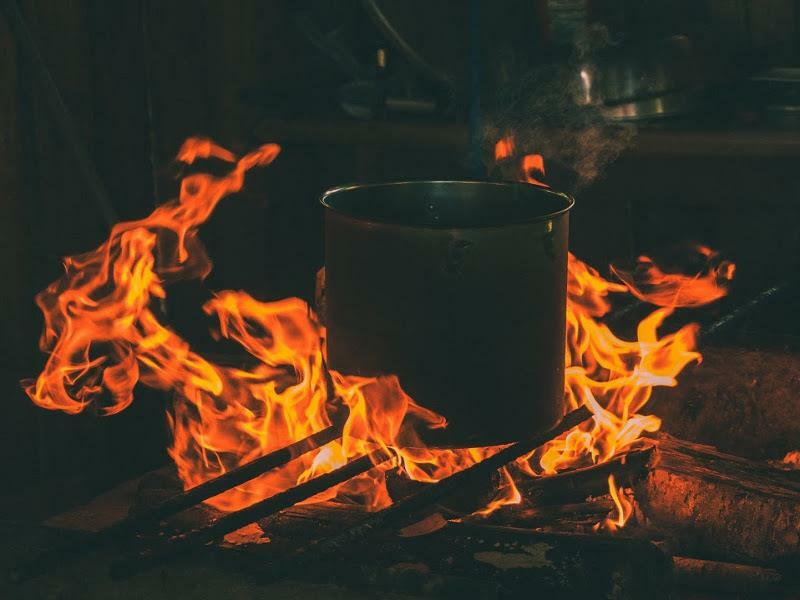 Jam-packed with the friendliest people on earth, the most mouthwatering foods in Central America, and magnificent wildlife, flora and fauna, and ecosystems. Not to mention, the landscape is kept mostly untouched. 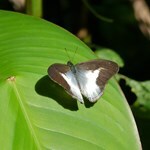 You will get to see nature in a pristine state as Belize is nature’s best kept secret. Belize has it all for every type of traveler. 1. Rich in Culture. Nested between the countries of Mexico, Guatemala and the Caribbean Sea, Belize has an area of only 22,966 km². The population is hardly bigger than a small city in the United States of America; but, don’t get it mixed up! Although the population currently stands at 381,008 people, there are over ten different ethnic groups residing in the country. Truly, we are a melting pot. 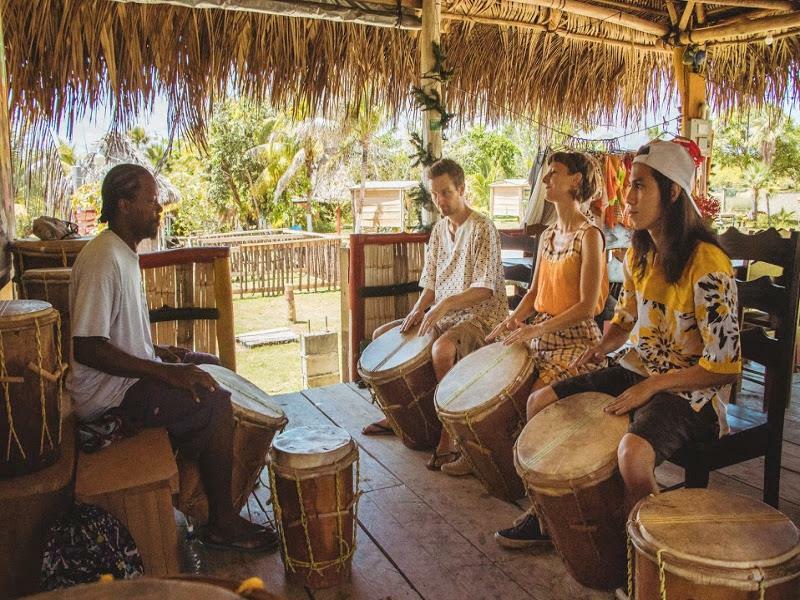 Cultures such as Mestizo, Maya, Garinagu, Creole, East Indian, Mennonite, Lebanese, Chinese and many others all reside under the shade of this tiny tropical paradise. 2. English Speaking. Interesting, right? What’s also interesting is the fact that Belize is the only English-speaking country in Central America with the official language as English. Although English is the official language, other languages such as Spanish and Kriol are spoken by a large portion of the population. 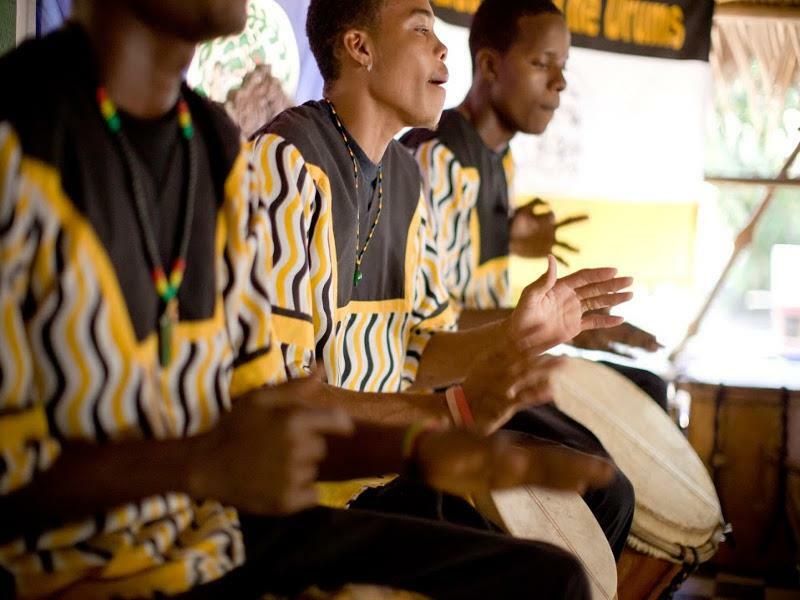 In addition to that, the languages of the various ethnic groups are also spoken. Don’t know Kriol or Spanish? No worries, everyone in Belize speaks with a heart for knowledge and adventure. Get to know unique features of Belize that can’t be seen or experienced anywhere else in the world. 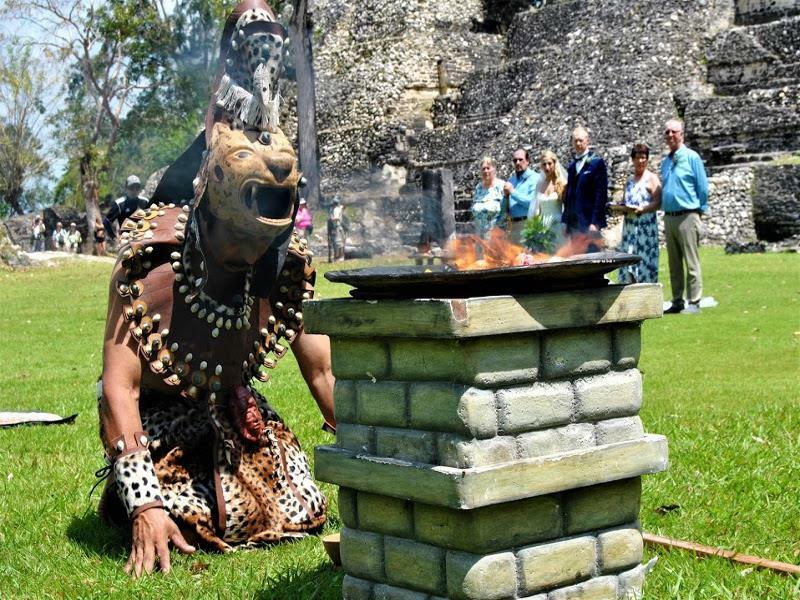 From iconic landmarks such as The Great Blue Hole to the Maya temples, there is much to learn about the world’s wonders; and, Belize is the best place to do so. 3. Largest Living Barrier Reef. 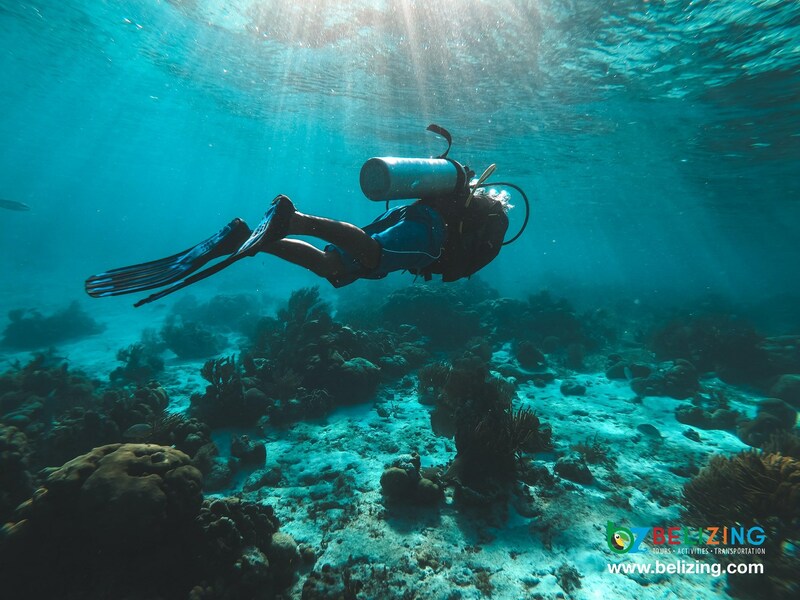 Belize holds the record and recognition for the world’s second longest barrier reef system and the world's largest living barrier reef system in the world! Talk about fascinating! Our barrier reef is also the first largest in the western hemisphere. 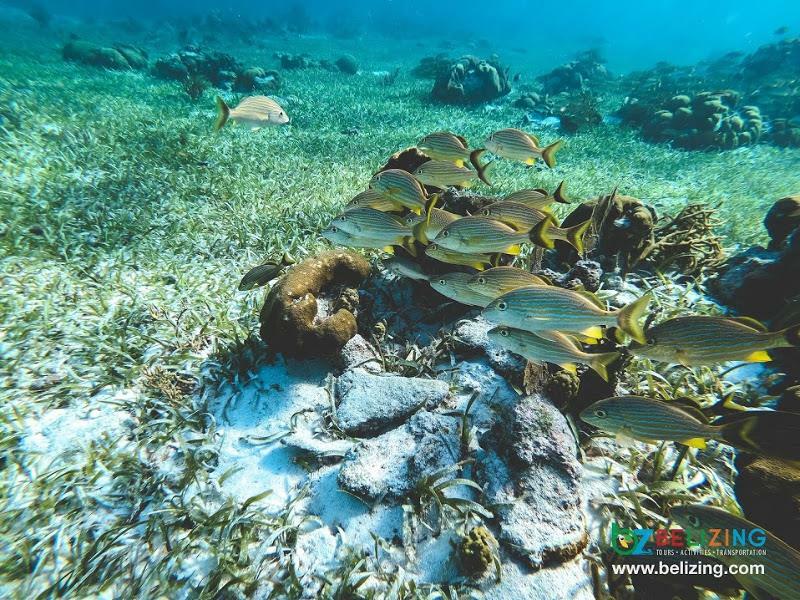 For everyone who would like to see the reef and all its glory, start Belizing today and book your tour to go snorkeling at Mexico Rocks, where there is a rainbow of coral formations and plenty juvenile fishes, or Hol Chan Marine Reserve, where there is less coral formations but has a variety of bigger fishes. Sounds amazing, right? 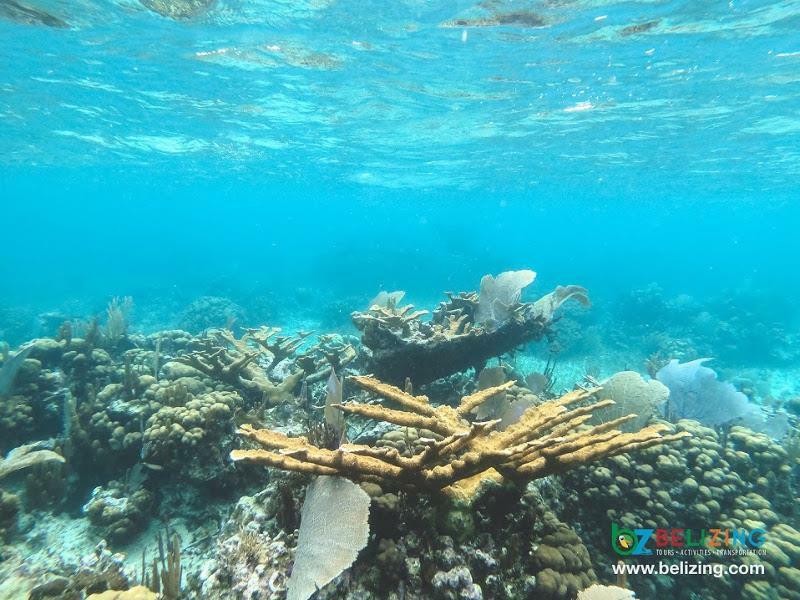 Who wouldn’t want to be at Belize’s barrier reef? You can also book a charter trip to the southern barrier reef, go island hopping, or fly fishing at the South Water Caye Marine Reserve. 4. Island Escape. 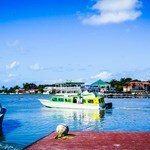 After your snorkeling trip, you can tour the islands of Belize, which are close by! You can pick, choose and refuse where you would like to visit. There are about two hundred islands in Belize. No need to fight, there’s enough sand, sun and sea for all of us! Even Leonardo DiCaprio wanted a piece of paradise – he owns an island here in Belize. Kicking back on the beach with a beer in hand while Madonna’s La Isla Bonita plays in the background sounds like the perfect vacation to me! 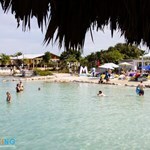 The main island towns in Belize are San Pedro (Ambergris Caye) and Caye Caulker. 5. World Class Diving. 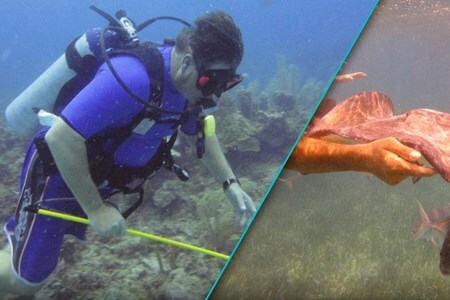 Whether you are an expert diver or a novice, Belize has something for you. 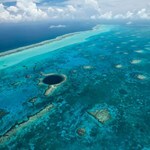 Belize is home to one of the most renowned landmarks in the diving world known as the Great Blue Hole. 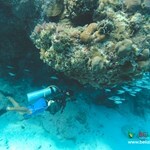 Belize offers many other spectacular dive spots such as Hol Chan Canyons, Spanish Bay Wall, and Caye Caulker Canyons. Never dived before? No problem. 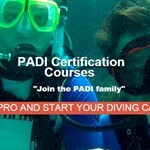 Check out this PADI diving experience course in Placencia. 6. Mayan Temples. Not a fan of the beach? Don’t sweat it, mainland has your back. 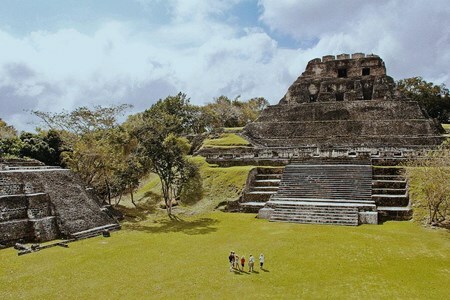 Explore Belize’s tropical rainforests and feel the history as you climb up the temples of ancient Mayan Civilizations! 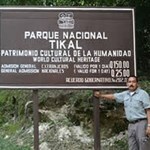 Belize has over nine hundred Maya Sites throughout the country! From the heights of Xunantunich to the conch shell remains of Marco Gonzalez, Maya history is an evident and vital aspect of today’s Belize. POP QUIZ! 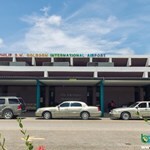 What is the tallest building in Belize? Figured it out yet? The answer is not a corporate office but rather a Maya Ruin. 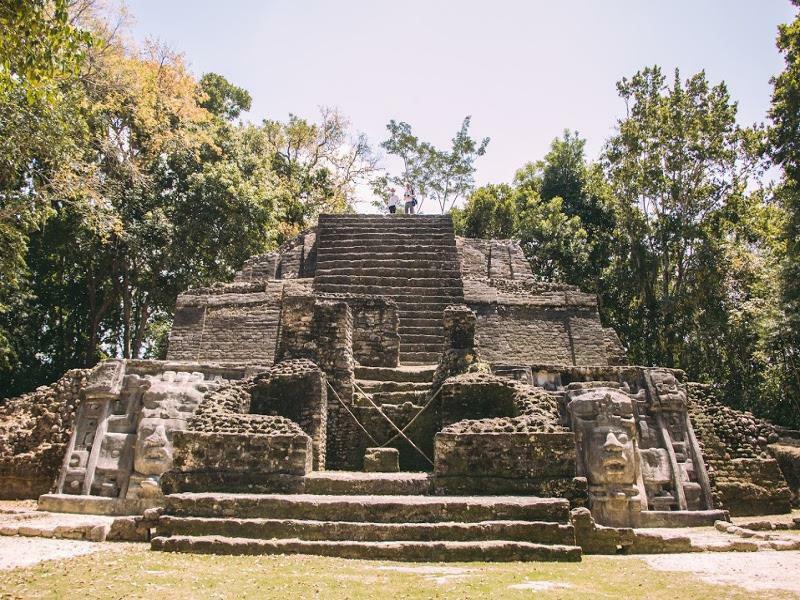 Those ancient Maya structures stand tall and proud – just like every Belizean. 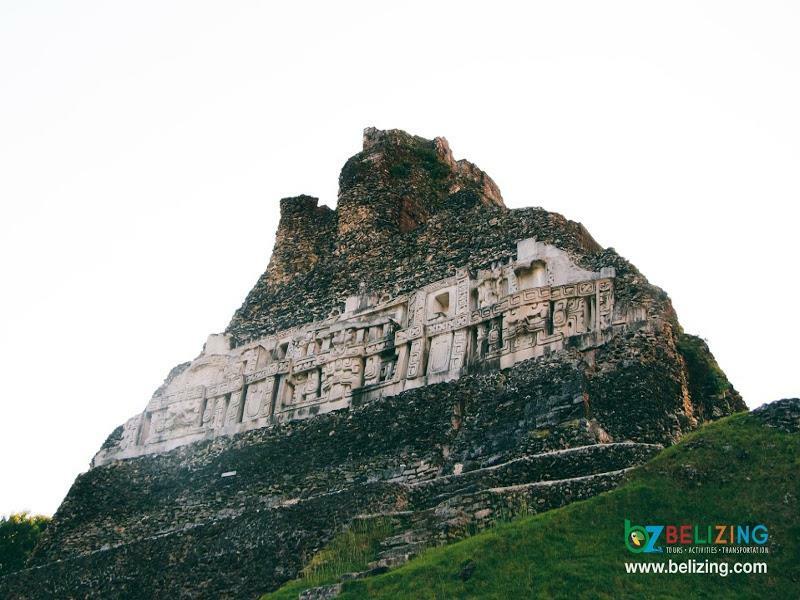 The tallest building in Belize is the Caana temple at the Caracol archaeological site. 7. Birding Paradise. On top of these temples, you will meet the most scenic views of our landscape. Be sure to keep your eyes open in case you catch one of our almost six hundred species of birds! 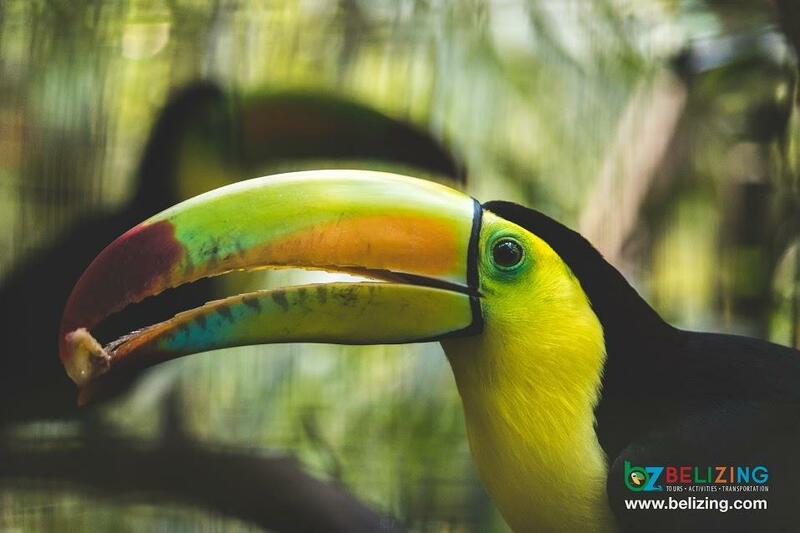 Have your binoculars and cameras ready to snap a picture of the vibrant Keel-billed Toucan, Belize’s national bird. Be sure to check out the annual Belize Birding Festival to find out more about birding in Belize. 8. Rainforest and Caves. 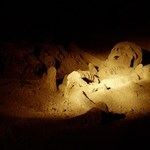 Climbing down the temples, we meet the most exquisite caves and cave systems that exist on record. Belize has the longest and largest cave system in Central America, and hosts this cave system in the largest contiguous block of tropical rainforest north of the Amazon. Talk about tooting our own horns! One of the most famous caves in the country is the Actun Tunichil Muknal (ATM) Cave. Be careful, though! 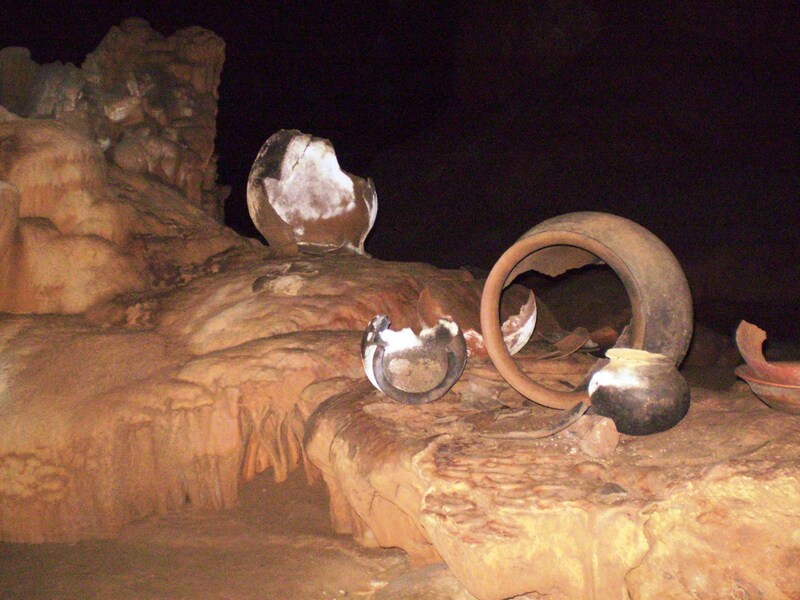 Inside the cave still has the remains of human bones, pottery and artifacts. 9. Jaguar Reserve. As much as we promote our jewels to the world, we also take pride in protecting and conserving what Mother Nature has blessed us with. 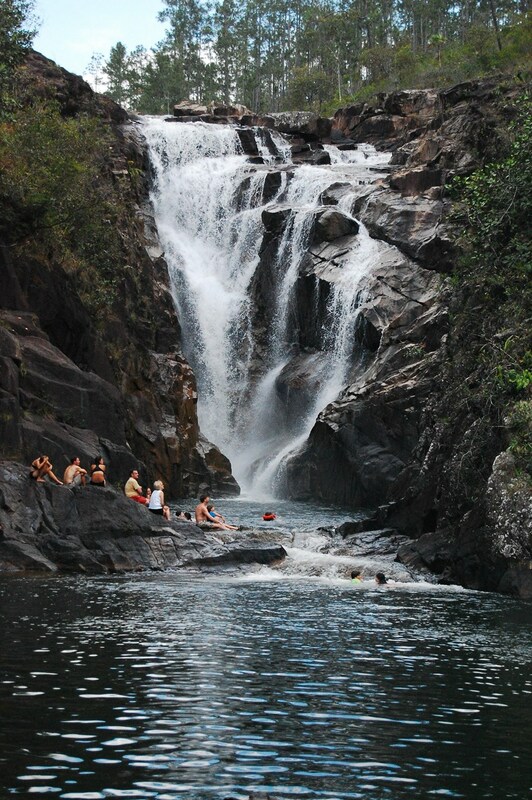 In fact, Belize is the first and only country in the world to create a Jaguar nature preserve, known as The Cockscomb Basin Wildlife Sanctuary and Jaguar Preserve. Still sitting in front of your computer screen? 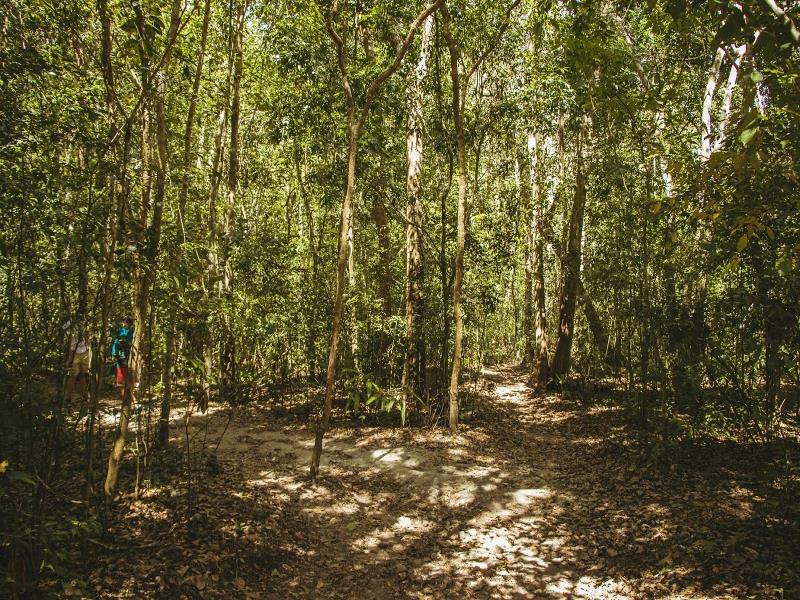 Start Belizing and take a trip to The Cockscomb Basin Wildlife Sanctuary and Jaguar Preserve! Yes, you can visit this reserve! Lace up your tennis shoes and take a hike on the nature trails to see spectacular waterfalls and picturesque mountain views. 10. Delicious Food. After all the adventures, don’t forget to satisfy the tummy! Remember, a hungry man is an angry man – and no one likes an angry man. Local cuisines are mouthwatering and satisfying! If your body is not in shape for the adventure, let your taste buds do the adventure for you. Breakfast, lunch and dinner is on us! Any of our roadside food shacks or in-town restaurants will be glad to serve up a delicious plate of our signature dish, rice and beans with stewed chicken and salad. But don’t stop there! Try our salbutes, panades, tacos, cow foot soup, escabeche, chimole, bollos, sere, boil up and dukunu, just to name a few. Don’t know what I just listed? 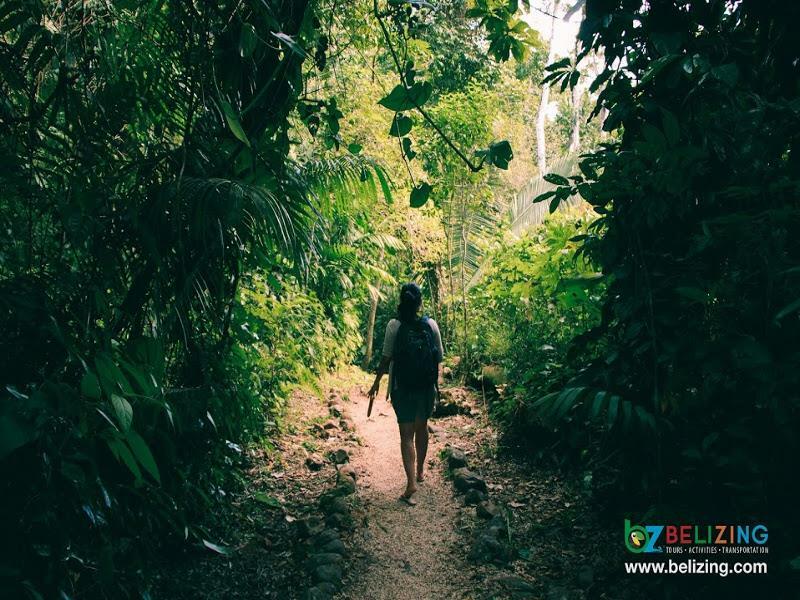 Let’s go Belizing and you’ll find out! 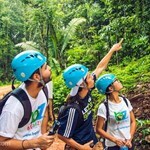 There is much to discover, learn and experience in Belize. 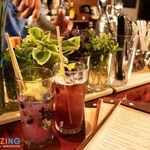 Are you ready to go Belizing? Just a 20 minutes ride from our dive shop is this beautiful collection of giant brain corals, great star corals, elkhorn corals, staghorn corals and vibrant inhabitants like butterflyfishes, ... morespiny lobster, yellowtails, and stingrays. The adventure experience starts from the moment we greet you to the moment we say goodbye. 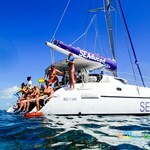 Our crew is a group of trained and experience tour guides that will make sure you don’t miss any fun fact while snorkeling at Mexico Rocks & Dos Cosos. First, we stop at Mexico Rocks, a coral patch between the reef and the shores of Ambergris Caye, where you begin a snorkeling experience you won't forget. 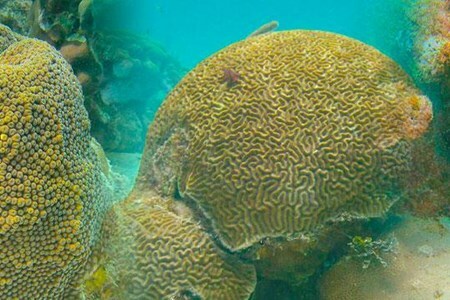 Snorkeling here is mainly boasted by the magnificent boulder formations of Brain Corals, Elk Horns and Great Star Corals that provide shelter for the tropical fishes and critters. Some of them include spiny lobsters, yellowtail snappers, and stingrays. A cave looking like a path is also found here where you will find hundreds of baby snappers starring at you while you glide over them. 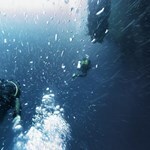 Next spot on this trip is “Dos Cocos”, which was called and is still recognized as “Tres Cocos”. A name derived by the secret location of this rich area of corals found inside the Barrier Reef. Here you will encounter even more tropical fishes and critters such as angelfish, grunts, fairy basslet, butterfly fish, and spider crabs. 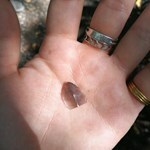 You will also find few clusters of elk horns and brain corals. THE BEST SNORKELING IN THE WORLD! This Half Day adventure starts at Hol Chan Marine Reserve, where our guides will show you around the spectacular snorkel area. Then head on to Shark ... moreRay Alley, where you will encounter sharks and rays in their natural habitat. Off the southern tip of Ambergris Caye is Belize's oldest marine reserve,the Hol Chan Marine Reserve. Hol Chan is Mayan for 'little channel." 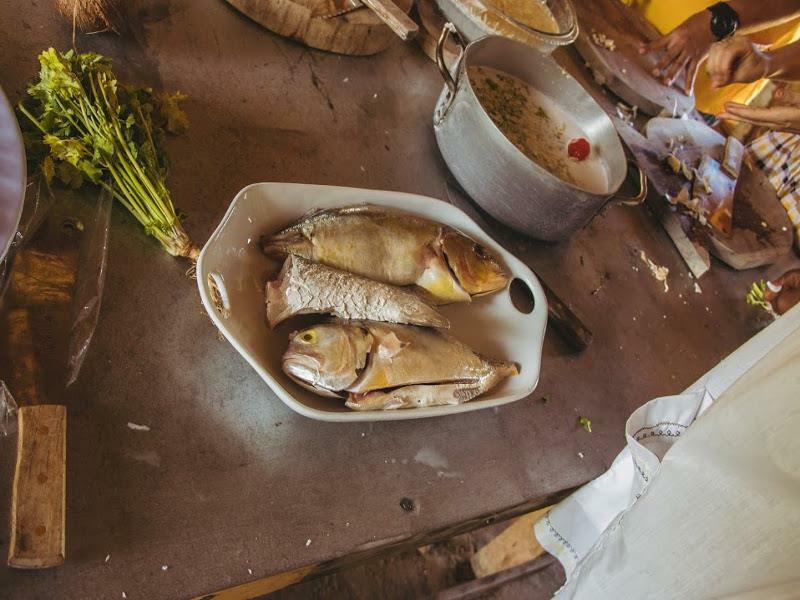 The reserve was formed primarily as a community-based initiative due to concern over the high level of uncontrolled, often destructive fishing and diving activities in the area. 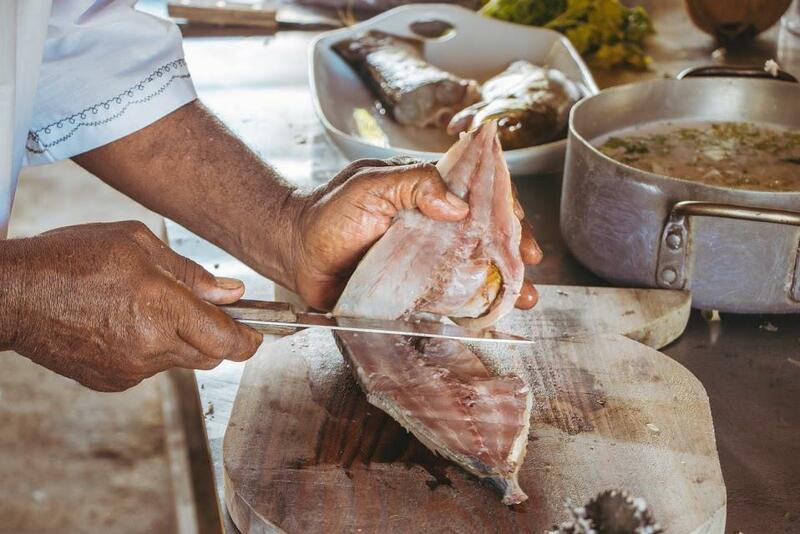 For several years, local fishermen often cleaned their catch in Shark Ray Alley, located just inside the reef, to the south of Ambergris Caye. When fishermen noticed that their activity had attracted Nurse Sharks and several Southern Sting Rays, they reported this information to the dive operations in San Pedro, who then dispatched some divers to investigate. What they found was a bonanza, and "Shark-Ray Alley" quickly became a very popular dive site. As soon as your boat arrives in the area, the guide points out all of the dark shadows in the shallow (eight foot deep) waters. These are the sharks and rays that hear the boat approach and come in search of a few scraps of fish. Please note, Half Day Trips leave at 9:00 am and 1:00 pm. Xunantunich was a classic period Maya ceremonial and residential center. 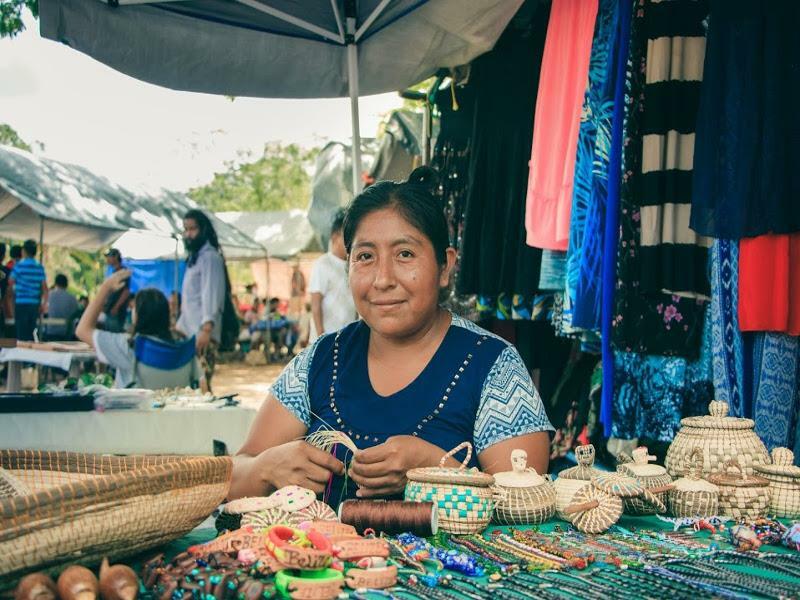 This site is located along the western border of Belize with Guatemala on the Mopan River in the village of ... moreSuccotz. The core occupies a hilltop with six plazas that include temples and palaces. 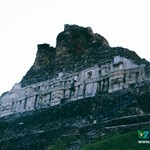 The most prominent rises 130 ft above the plaza called “El Castillo”. Vehicles use a hand crank ferry to access the site.